Take advantage of free museum entry for military servicemen and women at the National Museum of Funeral History’s (NMFH) Veterans Appreciation Week from Sunday, November 11 through Sunday, November 18, 2018. The museum features several exhibits that pay tribute to those who have so bravely served and given their life for our country, including the 9/11 and Fallen Heroes Tribute, Presidential Funerals, Tomb of the Unknown Soldier, and Reflections on the Wall—a photography exhibit on the dedication of the Vietnam Memorial, as well as an exhibit on military funeral traditions. Click here for a complete list of exhibits at the National Museum of Funeral History. The National Museum of Funeral History houses the country’s largest collection of funeral service artifacts and features renowned exhibits on one of man’s oldest cultural customs. Visitors can discover the mourning rituals of ancient civilizations, see up-close the authentic items used in the funerals of U.S. presidents and popes and explore the rich heritage of the industry that cares for the dead. Admission: Veterans and active military servicemen and women receive free entry throughout the week. General admission for all other adults and ages 12 and older is $10; $9 for seniors; $7 for ages 6 to 11; free for ages 5 and under. Click here for more museum information or to purchase advance tickets. This article was sponsored by the National Museum of Funeral History. 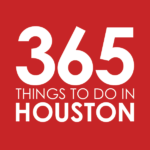 Per our advertising and sponsorship policy, we only accept sponsored content from organizations that meet our editorial standards and truly present a valuable activity, event, resource or destination for residents and visitors across the greater Houston area. Click here to learn about promoting your event or business.